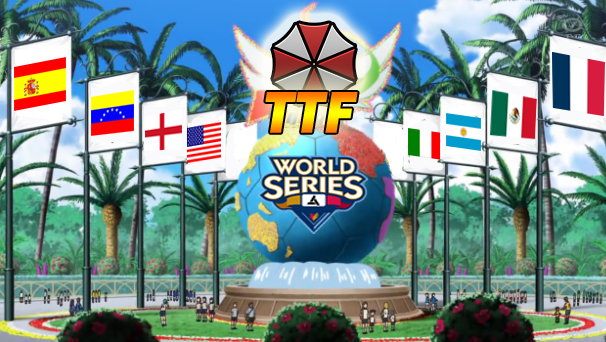 -The teams have to play to find out who is the winner and goes to the next round. The loser of each match, loses and is disqualified from the tournament. If there is a tie, they have to play a second game (and third, fourth,..until break the tie). The winner of that game would go on to the next round. -The teams will have 72 hours to play each round. The teams have to contact each other and decide day and hour. If the players can`t decide, the staff will decide day and hour to play the match. Players have 15 minutes after the scheduled time that thay had decided to appear on the game. If a player does not appear or if one player proves that has tried to contact with the other one to concrete the day and time and would not have been answered, the team which had not appeared lost. It encourages all members to agree date and time via FORUM to have evidences. -The result of each match shall be notified by the winner or the loser. -The winner team will have 300 APs and the title of World Champions of Manhunt 2vs2. The second one, 150 APs. The other two semifinalist, 50 APs each team member. Categoría de la Simulación: Cacería 2vs2. -Las selecciones deberán jugar su combate 2vs2. El equipo ganador pasará de ronda y el perdedor será descalificado del torneo. Si hubiese un empate a puntos, tendría que realizarse un segundo encuentro (o tercero, o cuarto,...hasta deshacer el empate). El equipo ganador del encuentro de desempate pasaría a la siguiente ronda. -Los equipos tendrán 72 horas para jugar sus partidas. Los propios jugadores son los que deben ponerse en contacto unos con otros y acordar día y hora para jugar. Una vez hayan acordado día y hora, si no hay indicios de querer cambiarlo antes, los jugadores tendrán 15 minutos como máximo para aparecer a la partida después de la hora pactada. Si un jugador no se presentase o su rival aportase pruebas de que ha intentado contactar con él y no ha recibido respuesta, el jugador que no apareciese o no respondiese sería eliminado. -La selección vencedora ganará 300 APs y el título de campeón del mundo de Cacería 2vs2. La segunda, 150 APs para cada miembro. Las otras dos semifinalistas, 50 APs para cada miembro. -Empieza el 11 de Diciembre.